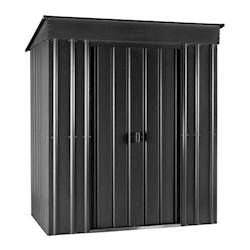 Our 8x4 metal garden sheds are manufactured from galvanised steel for excellent strength and long-lasting durability. 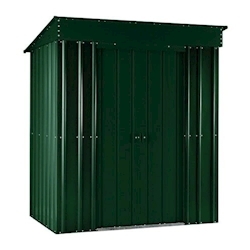 These metal sheds area available in your choice of Anthracite Grey or Heritage Green. These sheds are strong and secure, with heavy duty bracing throughout. The 8x4 size is perfect for storing lots of tools and equipment.